How can affordable housing be financed? This is just one of many questions discussed among housing providers across Europe. Each country works on its own on solutions and develops new tools. 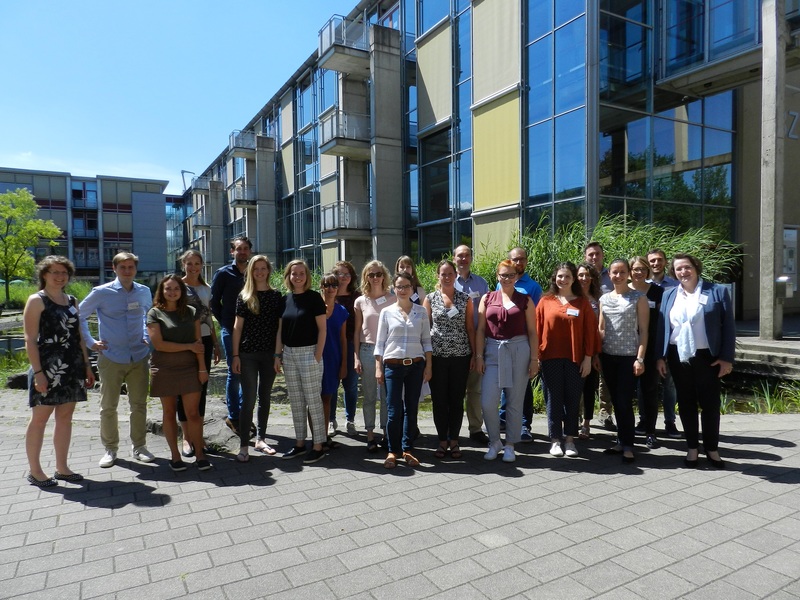 At the second edition of the European Summer School at the EBZ in Bochum around 25 young professionals working for public, cooperative and social housing providers in 6 EU countries had the chance to exchange similarities, differences and courses of action. The affordable housing sector works differently in the various EU member-states, since there is no common EU definition of ‘social housing’. In Germany, there is a clear regulatory framework for social housing, though its share is more and more declining. With only 3,9% of the housing market, the country is ranked 15th in Europe. The Netherlands is on the top of the list with 30% of the overall stock being social, followed by Austria (24%) and Denmark (20%). But there are also countries where social housing is less established with homeownership having a much stronger tradition as for instance is the case of Spain and many eastern European countries. While the provision of affordable housing is a big challenge across the continent, there are concrete differences when it comes to funding related to the national context and regulatory framework. This was one of the clear outcomes of the exchange between around 25 participants of the summer school from the Netherlands, Germany, Belgium, France, Ireland and Italy. Delegates were able to get a closer look at the national financing mechanisms and to evaluate the respective tools. Italy was considered to be a positive example, in particular a model based on a private, non-profit foundation that promotes social housing with the support of an ethical real estate fund and public-private partnerships. The so-called “Performance bonds” in the UK also received positive feedback, since the level of interest rates is calculated taking into consideration whether the company has achieved its strategic goals. Moreover, housing allowances for low-income households, e.g. like in Germany were termed best practice. On the other hand, participants had a rather critical look at rent control for social housing in Germany, as it is only temporary. Similar was the reaction towards the ‘Usufruct’ models in France, as in this case the land is used at a reduced price to host social housing for a period of 15 to 20 years but then can be used without limitations by investors. Both models were deemed not sustainable. Besides lectures from experienced experts, and interactive workshops, the participants visited the Ministry for Regional Identity, Communities and Local Government, Building and Gender Equality of the Land of North-Rhine Westphalia, where Rita Tölle, the Director of the Department 407 for the Funding of Housing Rehabilitation, presented the funding programmes of North-Rhine Westphalia for social housing. 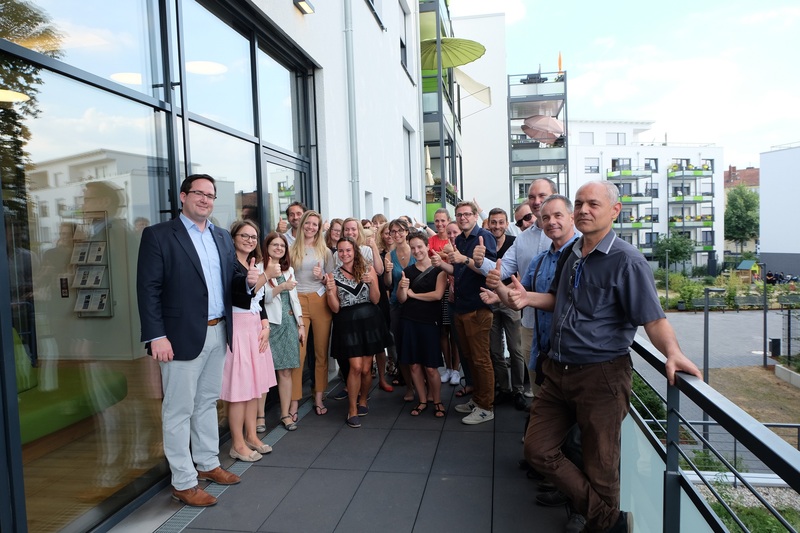 Moreover, the young professionals were introduced to the German cooperative model through the example of the Construction and Savings Cooperative in Düsseldorf (Düsseldorfer Bau- und Spargenossenschaft eG). The group paid a visit to the newly constructed ‘Kastanienhöfe’ (‘chestnut courtyard‘) project that also includes social housing as well as homes at a reduced price despite the tight housing market in the city. 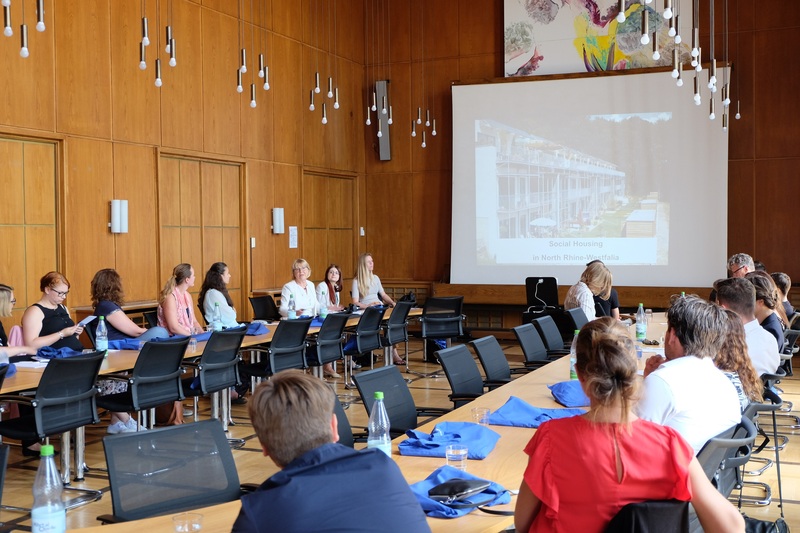 Cities and in general the urban dimension were moreover among the focus points of the European Summer School. Co-governance, Co-design, Co-creation and ultimately Co-City have been at the core of the debate about designing living environments and neighbourhoods in a participatory way. The ‘Starters Up’ project of the Dutch Housing Company Eigen Haard was identified as best practice in Amsterdam where more and more young people arrive pursuing a job opportunity while looking for an affordable place to live. The project aims to build a strong community, including homeless people, as well. Tenants have to organise themselves, use and maintain community rooms, gardens and shared spaces. Dwellings are rather small, more like studios, to keep prices low and to promote the use of the generous communal facilities. Food for thought from the academic research front was on the menu as well as practical examples that added to the exchange of experiences that participants are supposed to share back in the office with the rest of their team. 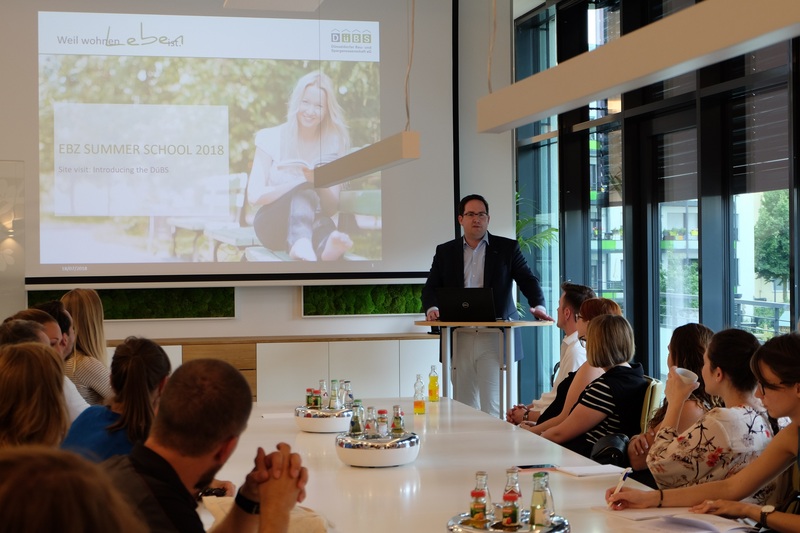 The European Summer School was hosted by EBZ Business School, co-organised with Housing Europe, EFL – European Federation for Living, and IWO – Housing Initiative for Eastern Europe. This year’s event was supported by EFL Expertise B.V. The next edition will take place in summer 2019 again in Bochum. The registration is open until June 22, 2018. Please register here. Where is EBZ located and how do I get there? The closest airport is Düsseldorf Airport (DUS), which is connected to Bochum by regional train. Other airports in the vicinity are in Dortmund or Cologne. Bochum is well connected to the German railway and motorway network and can be easily reached by train or car. From Bochum Central Station, the buses 354, 394 and 388 will take you to EBZ.